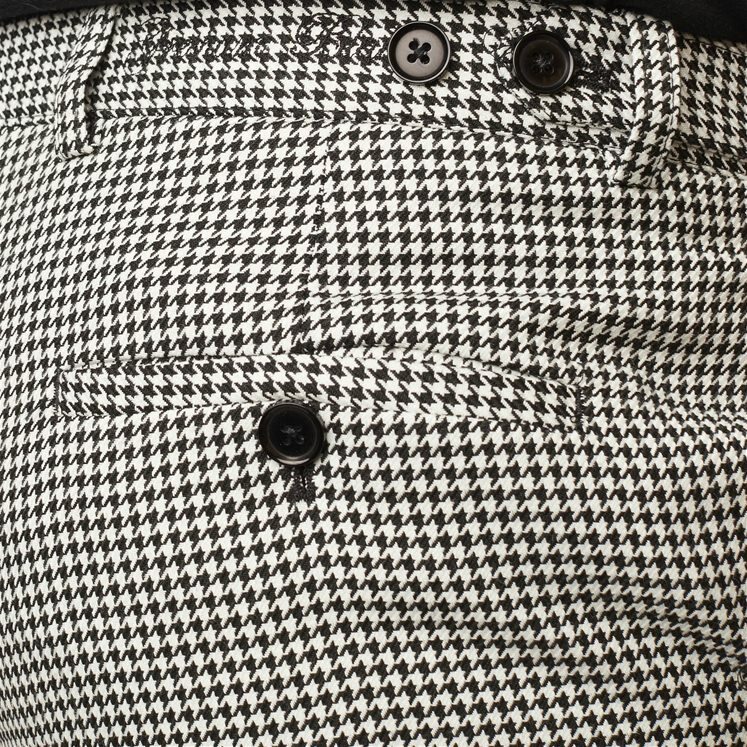 Mens limited edition trouser in a classic monochrome houndstooth design. 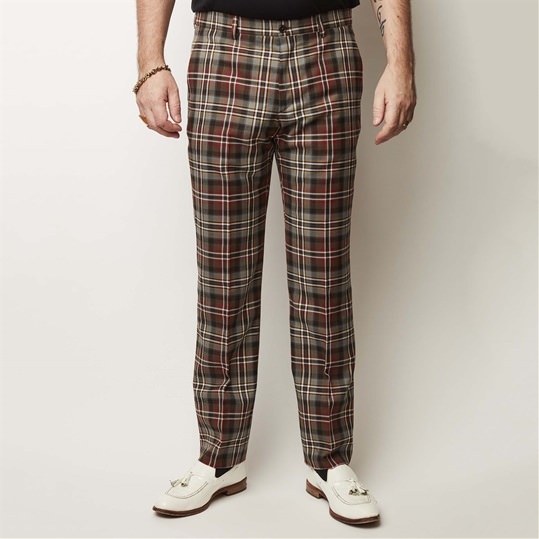 Hidden embroidery on the waist and the Gresham Blake logo embroidered on the waistband. 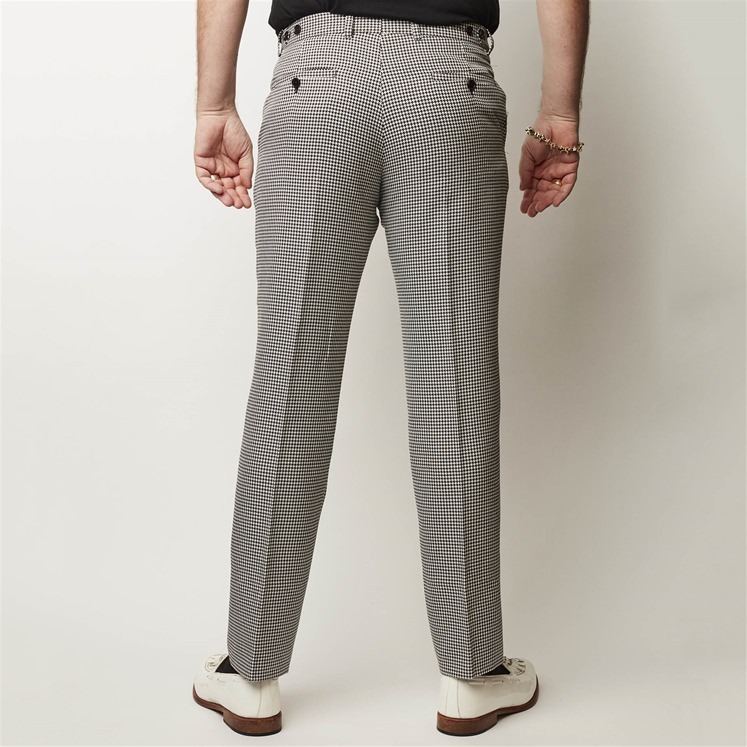 All gresham Blake Trousers are un-hemmed with an inside leg measure of 36". 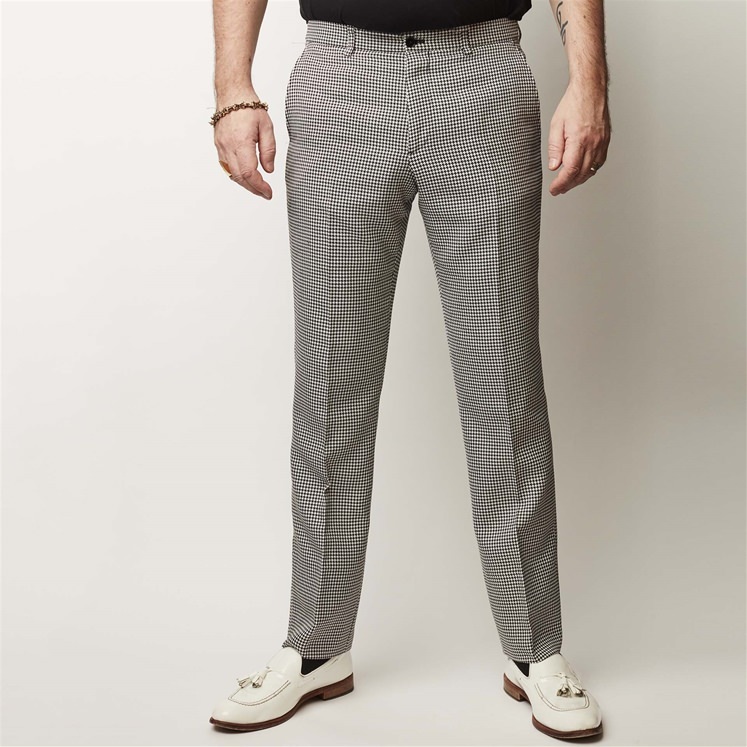 We can hem trousers prior to dispatch and free of charge to match your own inside leg measurement. 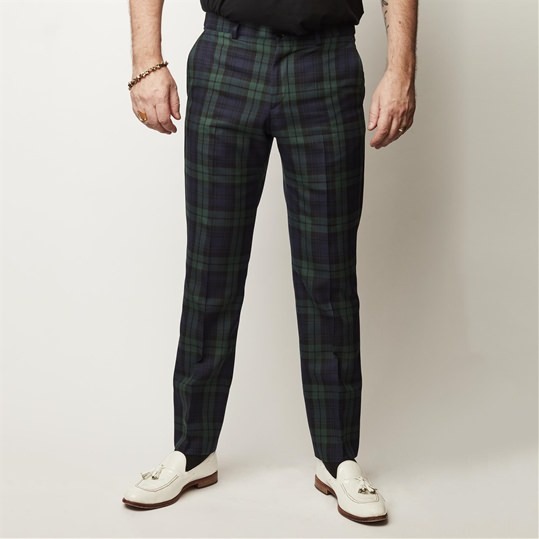 To use this service please leave a note at the checkout and we will contact you.